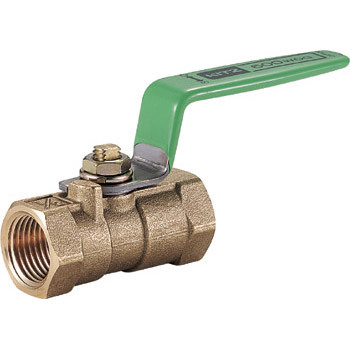 I have used this valve before, I saw using other valves, but this valve seems better. This review is about item#2230882. (KITZ) ball valve is a reliable product. It can be used with confidence. I always use (KITZ). This review is about item#2230907. There is no problem and it is a very good product, I am always asking you. This review is about item#2230952. I think that it is a reliable product with the goods I always use. Steam leaked from the valve near the pressure gauge, so I bought it. There is no steam leakage and it can be used without problems. This review is about item#2230873. Especially it was able to be used without problems. This review is about item#02230891. The water pressure can not be adjusted with a lever. There is a water leak from the lever base at a position other than stopping, stopping. This review is about item#02230952. I use it for air piping. This review is about item#02230873. Depending on the thing, it will be useless, maybe there is an outlier? As of now only one out of ten has been found leaked in 3 days, but still satisfied enough. When ordering it will be delivered the next day, so I am saved. It is a consumable item so I'm happy if it is a bit cheaper. I thought that the valve would last longer, but it is easier to use and last longer than the valve, thanks. This review is about item#02230882. Because it has good durability, it is used for around 30 plants in the factory piping. We call it for steam. It is a highly reliable valve. Parts entered on the next day after ordering and work was saved. We have installed some places to drain the air piping. I am using it for many years but there is nothing wrong. I also purchase additional items. It was connected to the drain outlet of the compressor so that the drain can be easily ejected. It is a product in trust because it is small and sturdy.